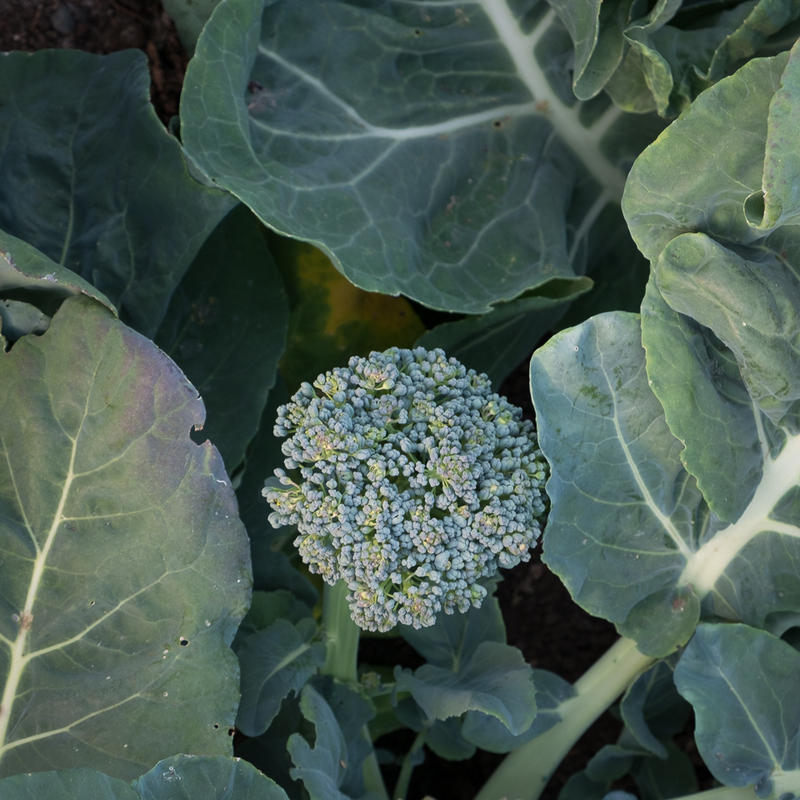 Over the years, I haven’t grown a lot of broccoli in my kitchen garden, usually just four to six plants of Umpqua or DeCicco that I start indoors in late February, set out in late March and harvest beginning with the full heads in late May and then side shoots until mid to late June. 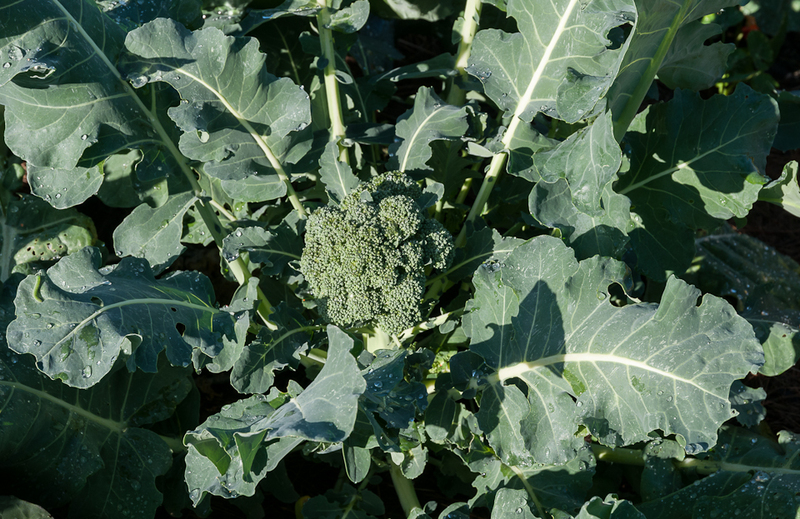 Spring broccoli fills the gap between the end of the kale flower buds and the start of sugar snap peas and zucchini. Sometimes I start more in June or July for late summer and early fall harvest but often I don’t because there are so many other tasty summer and fall vegetables I prefer to broccoli. 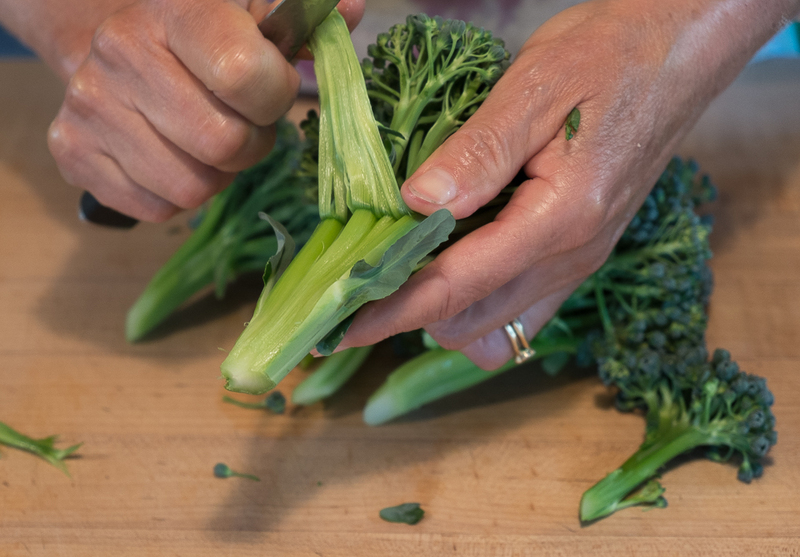 split any thick stalks into thinner stalks keeping florets attached, steam or boil until barely tender and drain. Sauté chopped garlic in a little olive oil until golden, then add the drained broccoli, a little salt and maybe some red pepper flakes, sauté lightly for a few minutes and serve hot or at room temperature as a side dish or as a topping for pasta or grains. It’s quick and easy and the sweet flavor of just-picked broccoli always comes through. Perhaps there’s a correlation between not much broccoli and not many recipes. If I grew more broccoli maybe I’d experiment with new recipes or if I found a great new recipe maybe I’d want to grow more broccoli. I think I’ve just found that recipe. Heat the oil (2 Tablespoons for about 1 and ¼ pounds broccoli) in a 12-inch skillet (she specifies not nonstick) over medium-high heat. Sauté the broccoli until speckled with brown on one side. Adjust the heat to prevent it from burning and watch the pan bottom for scorching. 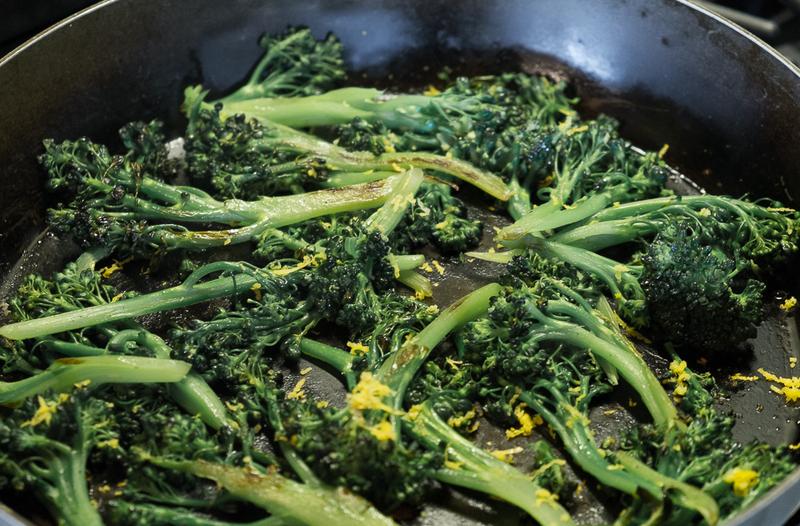 Sprinkle the broccoli with shredded zest from one large lemon, salt and pepper, turn the stalks over and sauté to brown on the second side. Serve hot or warm. It took me a couple of tries and the rest of my broccoli crop to perfect this technique but even my first attempts resulted in richly flavored, crispy broccoli. And the lemon zest perfectly balances this richness. I’m looking forward to making it again and maybe even experimenting with roasting rather than pan-searing the broccoli. I have six young plants that should give me broccoli by late August. I can already imagine how tasty seared broccoli will be with fresh tomatoes. My friend Lexi called me the other day to ask for my kale salad recipe and I was happy to share it: remove kale leaves from the stems and tear or slice them into bite-sized pieces, moisten with a little olive oil, sprinkle on salt to taste and use your hands to massage the leaves in the oil and salt until slightly slippery and shiny, adding more olive oil if necessary. Then squeeze lemon juice over the leaves and toss. Finally add grated Parmesan cheese and toss again. Proportions are flexible and depend on how much kale you start with, how sour or sweet the lemon is and how much cheese you like. Serve it right away or let it sit for up to an hour or so. It’s a recipe for the most basic of kale salads and my favorite, but as with any salad, additions and substitutions are practically endless. One friend adds roasted tomatoes, another lots of red pepper flakes, another toasted croutons; another substitutes Pecorino for Parmesan, another balsamic vinegar for lemon juice. Roasted vegetables, toasted pecans or hazelnuts, apples or citrus are also popular additions. And then there is the question of what variety of kale to use. 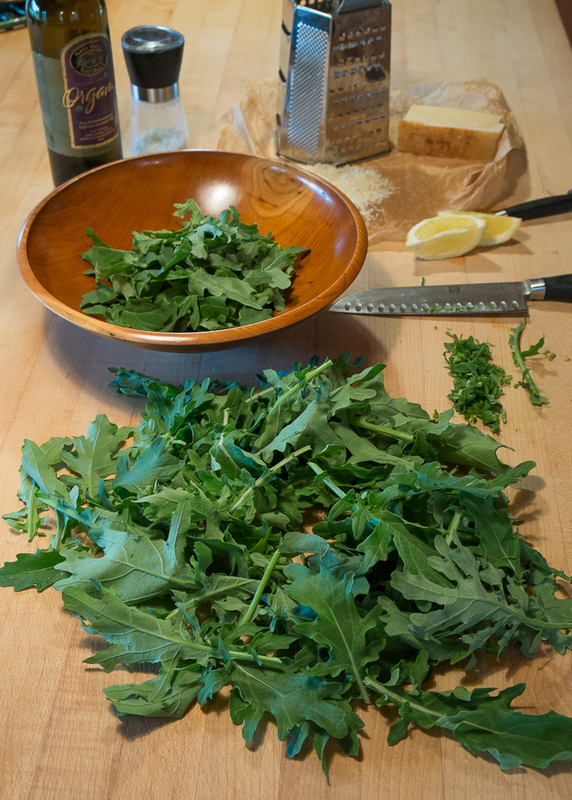 Some friends insist on Lacinato kale with its dark green, crinkled spear-shaped leaves. I like the tender, smooth-leaved Red Russian better than Lacinato and this year I’ve liked White Russian even more not only for its sweet flavor but also because it is both more winter hardy than Red Russian and has produced tender, flavorful spring growth longer than Red Russian has. Even now, at the start of June, there’s one more kale salad left on the last few White Russian plants still standing. Lexi was using kale she’d planted this spring while for the past few months I’ve been harvesting new growth leaves from overwintered kale I planted last July. And before spring’s new growth there were the frost-sweetened leaves I started harvesting in October and before that the tiny new leaves from thinning those July-planted seedlings. 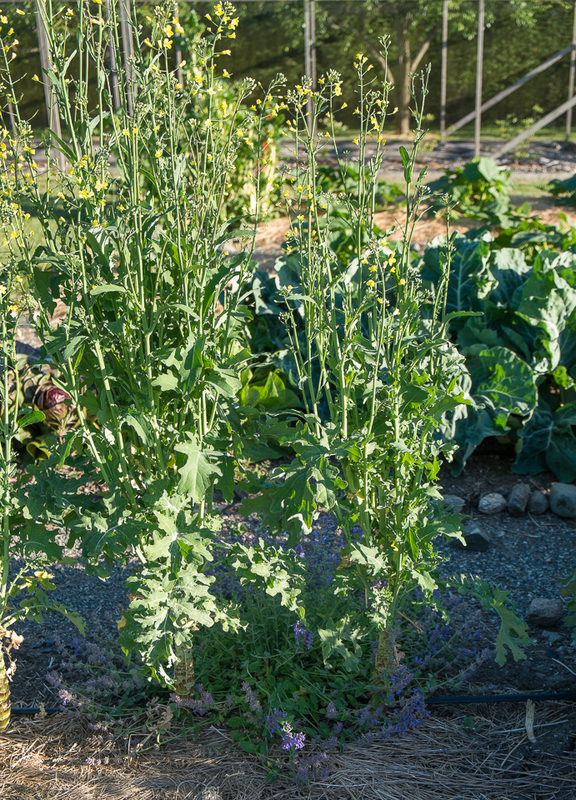 With spring and late summer plantings, you can have kale salads year round. 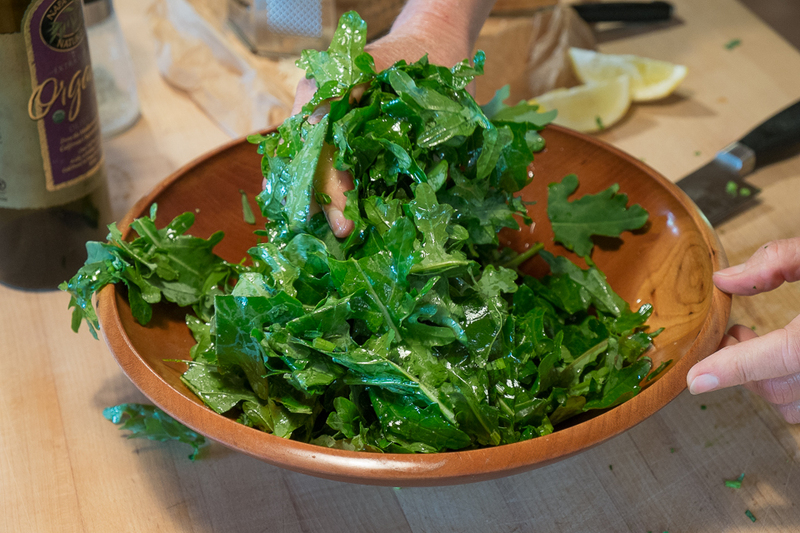 Kale salads have been popular with chefs and home cooks for nearly a decade. Searching the recipe site Epicurious, I found the earliest kale salad recipes dated 2007 and 2009. Introducing the January, 2007 Gourmet magazine recipe is this note: “Inspired by an antipasto that’s popular at New York City’s Lupa, this substantial salad takes a hearty, rich green that’s usually cooked and proves how delicious it can be when served raw.” And a February 2009 Bon Appetit recipe from Dan Barber begins: “In a surprising twist, Tuscan kale is served raw—and makes for a substantial and satisfying winter salad.” Who knew! I experimented with my first kale salad in October, 2007 inspired by Melissa Clark’s New York Times recipe and article. 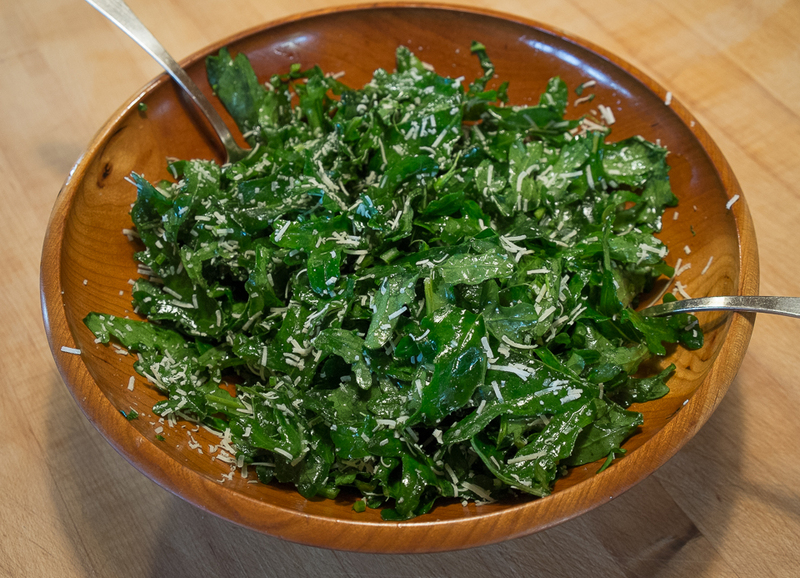 Before discovering how delicious raw kale is, I’d regularly wilted it then sautéed it in olive oil, garlic and red pepper flakes and served it hot or at room temperature. I still do that, especially at the start of winter when warm food is appealing. But just as often now I keep the kale raw. It mixes well with other hardy winter salad greens like mache, radicchio and arugula but it’s also satisfying alone and especially welcomed after all the other winter greens are gone. In another month and a half, it will be time to plant next year’s crop. Kale salad, once new and trendy, is here to stay.